The Alberta Media Production Industries Association (AMPIA) is governed by a volunteer Board elected each year at an Annual General Meeting (AGM). Michael is an Emmy® award-winning filmmaker and network storytelling consultant in both the fiction and nonfiction genres. As a producer, writer and director, his films have earned him more than 80 international, national and regional awards. During the late 80’s and early 90’s, Michael garnered five titles as WCNPA Television Photojournalist of the Year. In 1992, he was one of the first journalists to go into war-torn Somalia prior to the UN-sanctioned Operation Restore Hope. Since then, Michael has acted as a network storytelling consultant and helped launch the world’s first weekly science program, Discovery Channel’s Daily Planet. Michael is the only filmmaker in history to be granted access inside a classified U.S. Department of Defense weapons competition. Battle of the X-Planes earned Michael his first Emmy® for best long form news and current affairs documentary. He has produced, written and directed numerous primetime specials for National Geographic, Discovery Channel, History, PBS, ZDF Germany and Arte France. Some of his network credits include the Gemini®-nominated Secrets of the Dinosaur Mummy, Hunt for the Mad Trapper, Hitler’s Stealth Fighter and Lost Nuke. As the supervising producer of the landmark Discovery Channel series, Mars Rising,Michael negotiated access to NASA, Russian and European space agencies to tell the story of the people working on the first human mission to Mars. Michael has been a judge for the Academy of Television Arts & Sciences Emmys® since 2010. In addition, he also teaches fiction and nonfiction screenwriting in Digital Cinema Production at NAIT. In 2014, his feature-length theatrical documentary, Unclaimed, opened to international acclaim and was long-listed for an Oscar®. Michael is a member of the Canadian Media Producers Association, The Giant Screen Cinema Association and the Producers Guild of America. With a passion for storytelling, Michelle Gayse began her diverse media career nearly three decades ago. She excels as a journalist, host, production coordinator, producer and director. Michelle launched her career after graduating with honours from the Broadcast News program at SAIT in 1990. She started as a Television Anchor/Producer/Reporter in small town British Columbia the day Iraq invaded Kuwait and worked her way up covering a wide variety of stories and interviewing fascinating people from around the world at stations across Western Canada. In 2002, along with Director of Photography Allan Leader, Michelle founded Calgary-based Leader Production Services. Michelle’s storytelling ability, coupled with her business acumen, has helped the video production company grow exponentially since inception. Michelle’s work includes producing and directing for broadcast clients such as Discovery Channel, NHL Network and Vice TV. Michelle is also sought-after for voiceover projects and as on-camera talent for television commercials. Michelle is committed to sharing her expertise to benefit Alberta’s growing media industry. Helen Schmidt has been a member of the Anaïd team in Edmonton since 1995 where she oversees all aspects of business affairs and accounting for the production company. She is responsible for production financing, budgeting and cost control as well as overall corporate operations and has served as Executive Producer on X-Weighted, Family Restaurant, and The Rig. 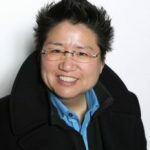 Helen is distinguished in the field of accounting by her advanced understanding of Canadian film financing and its related issues. Helen and her business affairs team have enabled Anaïd Productions to earn an impressive reputation with investors, broadcasters and distributors alike. A Certified Management Accountant, Helen Schmidt started her accounting career with the Alberta Government, then moved to private industry for several years prior to joining Anaïd. Helen is active in her local community and has used her financial acumen to benefit numerous non-profit organizations by serving on committees and volunteer boards. Norm Bishop was born and raised in Edmonton and would go on to receive his B.A. in 1977 and his LL.B. in 1980 from the University of Alberta. Norm’s practice specializes in intellectual property, franchising, commercial leasing and entertainment, and he is a registered Trademark Agent for Canada and the U.S. In addition, he is an Associate Member of the Patent and Trade Mark Institute of Canada. 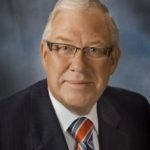 Norm is an enthusiastic supporter of the arts, and has served as a director for the Northern Light Theatre and the Edmonton Art Gallery (now the Art Gallery of Alberta). Currently, he sits on the Board of Directors of the Alberta Media Production Industries Association. Norman is best known for his love of playing rock and roll, and for his total lack of interest in the game of golf. He also enjoys hiking and skiing with his wife and three children. Neil has been in the movie industry for over three decades. 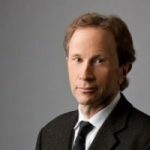 He has spent his time in the fields of distribution & exhibition with Sony Releasing – formerly Columbia Pictures – and Cineplex Odeon Films, and is currently the COO/Partner of Landmark Cinemas of Canada Inc., the third largest Canadian exhibition chain, based in Calgary, serving Western Canada. His passion for the movies began while watching Saturday matinees at his hometown’s single screen cinema. Neil also serves on the boards of the Motion Picture Theatre Association of Canada, the Calgary International Film Festival and the Motion Picture Pioneers of Canada. His passions and joy are found in his family and on the big screen. Dave Chan has always had an interest in computers and audio. After many years working at a computer store he decided to expand his horizons and obtain a Microsoft certification. At the same time, he helped start a LAN event known as Fragapalooza. He invited the owners of BioWare (then a relative unknown) to demonstrate Baldur’s Gate at the event. Ray Muzyka was impressed with the job he’d done for Fragapalooza, so with his new Microsoft certification he ended up working at BioWare in the IT department. The owners were aware of his audio background and offered him a chance to make placeholder sounds for MDK2. They liked the sounds so much they wanted him to do the whole game. The rest, as they say, is history. Since then, he has been an active member in the Game Audio Network Guild, is a co-chair of the Voice Actor Coalition sub-committee of GANG (a group organized to help the industry deal with issues voice over creation for games). He’s spoken at the Game Developers Conference, the Toronto Audio Engineering Society and been a Voice Over Demo Derby judge at PAX 2013. In 2004 he struck out on his own to form Giant Sandbox. Since then he’s been doing independent audio contracting and has been fortunate enough to work on AAA titles like Prey, Splinter Cell and Mass Effect as well as smaller indie projects and casual games like Sally’s Spa, Clue and the Office Jerk games. He was asked by Aaron Marks to contribute to the second edition of The Complete Guide to Game Audio and contributed a section describing his experiences and process. Sound design, voice acting, & audio in games are his passions and why he’s involved with organizations like GANG, the AIAS and the IGDA, where he can pass on knowledge and experience to others in the industry. Recently, he was the Audio Director of Hinterland Games working on their first title The Long Dark and is currently freelancing. 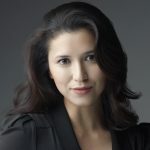 Justine Gamez-Huckabay is the President & Founder of Intercommunicate, a strategic marketing and communications firm helping entertainment and technology clients navigate international media. She founded Intercommunicate in 2018. Justine is an Award Winning International Publicist, who worked in Worldwide Marketing for Warner Bros. Pictures in Los Angeles. She led successful theatrical film campaigns such as The Hobbit trilogy, Gravity, Argo, Man Of Steel, San Andreas, among others. Her extensive global media experience was established through daily communication with top-tier international media and consistent travel to key markets, 15+ countries each year. Justine has worked on over 80 films from commercial blockbusters to artistic festival selections promoting them all over the world. In addition to working with traditional films, Justine is passionate about the convergence of entertainment and technology working with new media formats. She promotes VR, AR, and XR work internationally at festivals including Sundance Film Festival, SXSW and upcoming Tribeca Film Festival and La Biennale di Venezia. She started her career at 20th Century Fox in New York and Paramount Pictures in Los Angeles. Janet Hamley is a Producer at Prairie Dog Film + Television. Janet is educated as a Chartered Professional Accountant (CPA) as well as a Certified Management Accountant (CMA) and has a Bachelor’s degree in Accountant and Applied Business Administration from Mount Royal University in Calgary, Alberta. She has over 17 years of experience as an Accountant, with 11 years focused on the Film + Television Industry. Her experience has led her to work on a dramatic television series, a movie of the week, short films, documentaries, docu-series, lifestyle TV series, promotional videos, web/television commercials, public service announcements and corporate event videos. These projects have aired on NETFLIX, CBC, Rogers, ABC, CTV, APTN, BRAVO, CMT Live, Discovery Channel, ESPN, The Food Network, Muchmusic and OMNI. Brent has produced quality commercials and corporate films in the Western Canadian market for the past 20 years. Before coming to Bamboo, he had worked for and/or with Midnight Hwy Film Co, Combustion Inc., Joe Media group, Corkscrew/Stir and White Iron. Brent has shot projects across North America, working with many agencies and their clients such as ATB, the Calgary Stampede, Ford, Chrysler, Toyota, Western Canada Lotteries, Sport Chek, WestJet and Tim Hortons. Brent has also directed and produced award-winning long-form documentaries including Balletlujah, which was awarded a Canadian Screen Award in 2016 and three Alberta Media Production Industries Association (AMPIA) Awards. Brent also received a Gemini nomination for The Cult of Walt: Canada’s Polka King, a fun and engaging documentary that he co-wrote and produced on the legendary Walter Ostanek. He has produced numerous music and performance specials as well as many award-winning commercials. Brent has also produced many awards shows, music specials and music videos. His past work has been recognized with AMPIA Awards, Banff Rocky Awards and Gemini nominations. On the broadcast side, Brent has written and produced television programming for networks across Canada including CBC, Bravo, YTVand Global. He has worked extensively with kids programming through shows such as Street Cents where he served as the show’s western producer as well as his own national youth magazine program, From The Hip. Before entering television, Brent spent four years as a teacher in Calgary and holds a Bachelor of Education degree. He also holds a Bachelor of Journalism with Distinction and attended the Banff Television Executive Leadership program. second appearance at Hot Docs. 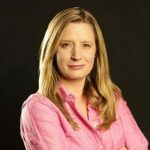 In her former role as Vice President of Production at Spotlight Productions (2012-2018), Laura oversaw production crews and post-production teams in multiple markets including production offices in Calgary and Vancouver. In June of 2018 Laura launched her latest endeavour: Snapshot Studios. Founded by O’Grady, this boutique production house specializes in documentaries and compelling branded content. 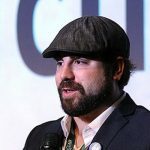 Dylan Pearce has directed six feature films, ten award-winning short films and has worked extensively with virtual reality and 360-degree stereoscopic filmmaking. His films have been screened worldwide from theatrical to festivals, TV and VOD. He most recently directed the award-winning 40 Below and Falling 3D, which included a VR experience. The film is Canada’s first 4K 3D feature film with a VR experience, and has earned him a 2016 Canadian Screen Award nomination for best directing. Dylan’s latest feature in development, Iron Dogs 3D won the 2015 Best Pitch award at the Stereo Media summit in Belgium this past year. Dylan is currently directing three VR short films and is exploring VR storytelling in trans-media. Dylan’s depth of work in the stereoscopic VR field has led him to work closely with 360/180-camera developers and VR headsets creators. 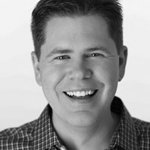 Eric is the Chief Operation Officer for Mosaic Entertainment. Eric graduated with honours from Southern Alberta Institute of Technology and still remembers his camera and editing tests, loading and cutting – gasp – real film! After SAIT, Eric began his career as a Sound Assistant on North of 60. He quickly worked his way up in the industry to become Edmonton’s leading Locations Manager. Working closely with the Edmonton and Alberta Film Commissions, Eric was instrumental in bringing many quality film productions to Edmonton including The Assassination of Jesse James starring Brad Pitt and Ginger Snaps II and III. Eric moved into Production Managing and Line Producing on a number of independent feature films, television shows, and music videos before he co-founded Mosaic Entertainment in 2006. At Mosaic Entertainment, Eric heads up budgeting, business affairs, production, as well as public and interim financing. 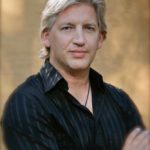 He has been instrumental in changing the face of financing, format, and distribution strategies for low budget productions, working closely with public and private financiers to find win-win situations that stretch the dollar while still creating incredible high quality productions in this increasingly competitive industry. With Mosaic Entertainment, Eric has produced numerous TV series, digital properties, webseries, mobile games, and feature films including Canadian Screen Award nominated comedy series Tiny Plastic Men, accompanying mobile games Kitten Assassins, Gaybots, My Baby Seals, feature films It’s Not My Fault and I Don’t Care Anyway (starring Alan Thicke) and #Roxy (starring Booboo Stewart and Danny Trejo) as well as five seasons of the popular APTN series CAUTION: May Contain Nuts. Kaitlan Stewart is an emerging producer in the Alberta film and television industry. 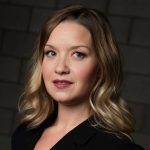 After completing a Bachelor of Arts degree in English and Creative Writing at the University of Alberta, Kaitlan began her career as a copywriter for a small ad agency in Edmonton. While there, she was asked to coordinate a television pilot project the company was undertaking – and something just sparked. Inspired to pursue a career in film and television, Kaitlan later left the advertising world, returning to school as a mature student in NAIT’s Television Arts program. After getting her start on the sets of Canada’s Got Talent, CityLine, and The Bachelor Canada, Kaitlan has built the foundation of her career working on some of the most successful productions to come out of Alberta. To-date, Kaitlan’s credits include: season 3 of the docu-reality series The Liquidator (Anaïd Productions), season 3 of the hit comedy series Tiny Plastic Men, seasons 4 and 5 of the CSA award-winning dramatic series, Blackstone (Prairie Dog Film + Television), and season 5 of Mosaic Entertainment’s sketch comedy series CAUTION: May Contain Nuts. Kaitlan is currently working independently to develop a number of scripted projects. After receiving her Bachelor of Education degree (with Honours) from the University of Alberta, Michelle began her formal film training at the National Film Board (NFB) of Canada working with the Oscar award winning Studio D where she directed and produced her first documentary Return Home, following up with the emotionally powerful Pieces of a Dream: A Story of Gambling. Her most recent credits include business affairs consultant on the theatrical features El Chicano, Come True and on the television movie Global Meltdown. Past television movie credits include Co-Executive Producer on Surviving Love (CBS), and the mini-series Into the West (TNT/Dreamworks) and Little House on the Prairie (ABC/Disney). 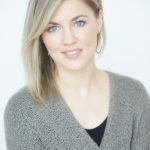 Over the past decade, Michelle expanded her experience in lifestyle programming, music and live events while working on shows such as the Canadian Country Music Awards (CBC/CMT), Ice Racer Showdown (CMT), Balletlujah (CBC) and the feature length documentary Legend of a Warrior (NFB). 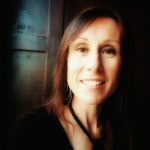 Michelle has served on a number of media arts organizations including The Quick Draw Animation Society, The Fairy Tales Society, The Calgary Society of Independent Filmmakers, and the Alberta Motion Pictures Industries Association. Michelle hopes one day to cook the perfect ‘Yorkshire pudding’. Bill Evans is the former Director of Programming at the Whistler Film Festival, and the former Director of Showcases and Senior Manager of Film Training Programs at the National Screen Institute – Canada. Bill also served as Festival Director of the NSI Film Exchange in Winnipeg and the Local Heroes Film Festival in Edmonton. 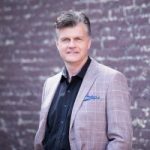 Bill is an award-winning events producer and has a broad range of programming experience including Edmonton’s Metro Cinema, the Vancouver International Film Festival and the Calgary International Film Festival. A native of Edmonton, Bill studied Film Studies at the University of Alberta and Film Production at Simon Fraser University in Vancouver.